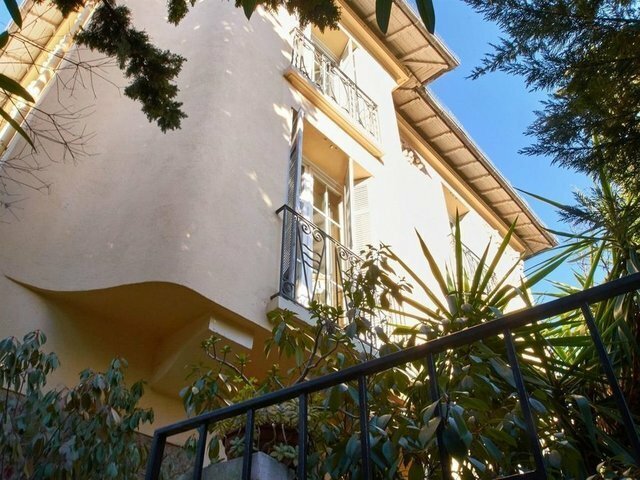 Set on a 350 sq.m garden with 100 sq.m of terrace not overlooked, this authentic townhouse built in the 1900's has been completely renovated and benefits from a living area of 250 sq.m over 3 levels. With 2 separate entrances, ideal for commercial lease, it mailny features 11 rooms including 6 bedrooms and 4 bathrooms. Parking, A/C. Very bright, high ceilings, moldings, fireplaces and wooden floors in every room.